Another Oh Hae Young is a romantic comedy with a serious undertone. Unlike most rom-coms, its overall feel isn’t all bright and zany. The whole story is built on the premise of two switched fates between two girls of the same name and just how much that can affect their lives both positively and negatively. The drama has everything from beautiful cinematography, memorable moments to amazing characters, and a dreamy vibe to easily get lost in. My favorite thing is how every character has his own story. Right off the bat, my favorite thing about the drama is how all the characters, even supporting ones, are portrayed like main characters in their own right. Every character has his own story, which makes the drama even more interesting and helps the viewers get more invested in it. Another point worth nothing is that this drama uses common tropes like love triangles, revenge plots, and switched fates, but it doesn’t use them in the typical ways that other dramas do. Instead, it downplays the general effect of these tropes and uses them to prove a point that fate doesn’t necessarily determine destiny, but rather, individual actions do. Another Oh Hae Young starts with a solid introduction of characters. It immediately piqued my interest from the very first scene with a mild touch of comedy when Eric donned some pretty red heels. By the end of the first episode, we are familiar with the personalities of our main characters and know how they think. 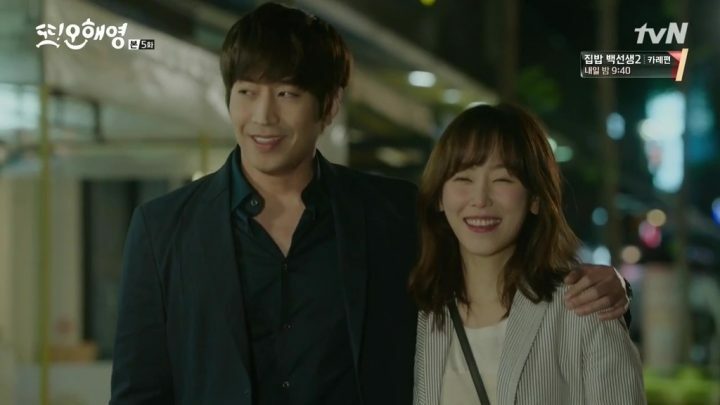 Our heroine, the original Oh Hae Young (Seo Hyun Jin), referred to as Oh Hae Young #1 from this point on, and our hero, Park Do Kyung (Eric Mun) have both been deeply hurt by their past loves. I look forward to how their relationship will begin and eventually progress. Our main leads meet officially and things get a little more interesting in the second episode. Hae Young seems fun and carefree. But as we get to know her, we learn that she happens to be good at keeping her emotions under cover. She is a refreshing heroine who would rather dance the tango by herself than cry. On the other hand, Do Kyung seems like a mean spirited, fastidious man at first glance. As we watch on, we realize that he’s suffering from a lot of pain and trying to survive his heartbreak in the best way he can. 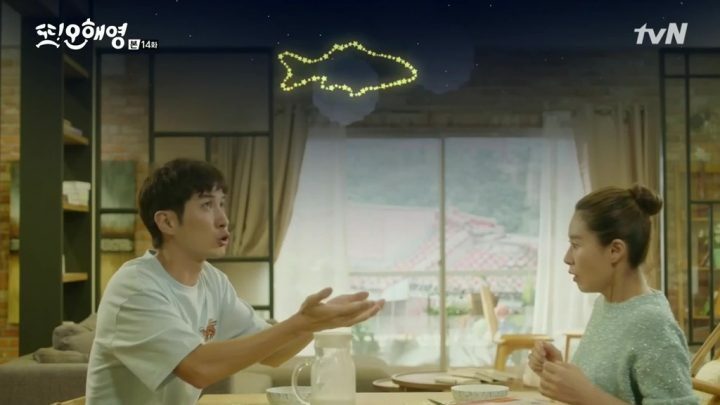 Co-habitation hijinks are employed very early in the story, and it’s fun watching the frigid Do Kyung become more flexible around Hae Young — albeit unwillingly. At the same time, the drama beings to build a sense of mystery on multiple levels. There seems to be supernatural power of sorts on our hero’s part and a rather serious case of mistaken identity that we are clued into here. We’re introduced to a second Oh Hae Young (Jeon Hye Bin) towards the end of the third episode, referred to as Oh Hae Young #2 from here on. Things quickly get more confusing between the two woman with the same name and our hero. All of this leaves me super curious to see what the drama has in store for us in the coming episodes. 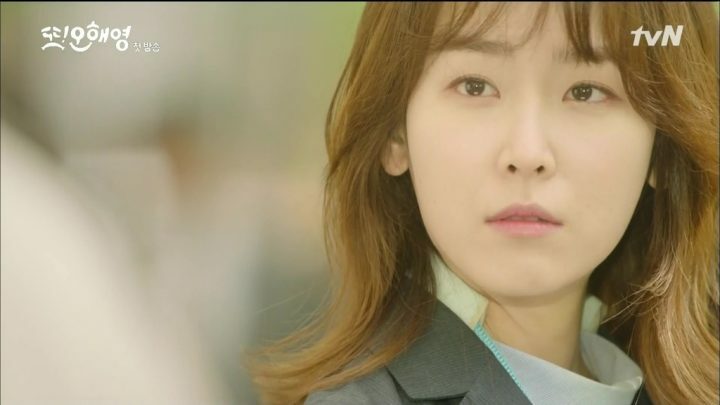 In this section of Another Oh Hae Young, things get a little more interesting as we are able to find out the differences between our two Oh Hae Youngs and their connections to the hero. Things also rapidly become more complicated as more identities and past relationships are revealed. As a result, we get to ravel in more comedic moments, and equally cringe-worthy ones. I can’t help but feel some second hand embarrassment on behalf of Hae Young #1 who constantly suffers coincidental sticky situations as a result of her shared name. The theme of constantly intertwined fates between our characters is put to very good use here, in such a way that it actually gives the viewers some mental workout. It ends up being a total six degrees of separation milieu with so many destined connections that it gives you a brain freeze. The theme of intertwined fates is put to very good use here. It’s more painful for me to watch Hae Young #1 suffer in place of Hae Young #2, who is also extremely nice and seemingly harmless. The two female leads finally learn of their respective places in Do Kyung’s life, and a fortuitous love triangle inevitably builds up between the three. We delve a little deeper into Hae Young #2’s personality, and we learn that she feels just as insecure about herself as Hae Young #1 does. It’s hard not to like and feel sorry for her at this point. But Hae Young #1’s personality is still what I like the most. Unlike Do Kyung, she’s not ignoring her feelings or burying her past relationship pains. She faces everything head on and accepts her current situation in life. This is probably also why Do Kyung started to care about her even though he tries as hard as possible not to show it. One other favorite thing of mine worth noting in this drama is the ever dramatic Park Soo Kyung (Ye Ji Won), Do Kyung’s older sister and Hae Young #1’s boss. The actress is nothing short of commendable as she gives countless rib-cracking hilarious scenes with ease. Soo Kyung is a huge dose of fresh air in balancing scenes that switch from lighthearted to emotional in a blink of an eye. As if things are not complicated enough yet, Another Oh Hae Young adds more characters into the mix to spice things up. 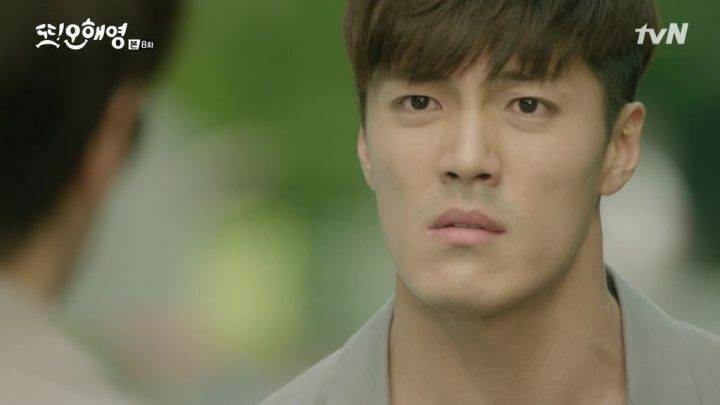 Hae Young #1’s ex fiance, Han Tae Jin (Lee Jae Yoon) makes a comeback into her life here. We get some insight into who he really is and his relationship with her. 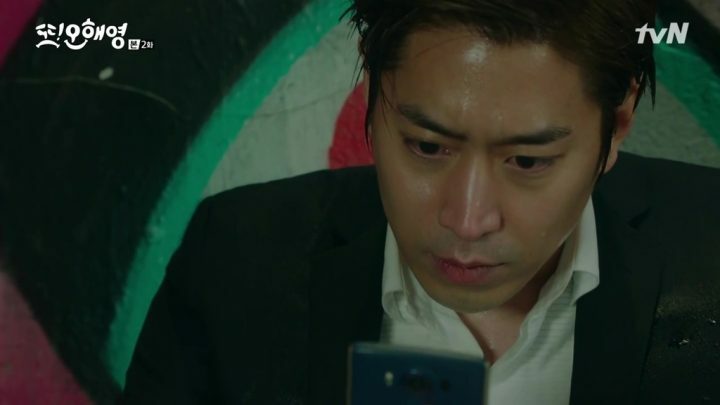 I find myself sympathizing with his sad fate as he was mostly an innocent bystander who got caught up in a storm and was forced to end his relationship with Hae Young #1. On the more playful side of things, Tae Jin’s return also led to some fun moments with Hae Young #1’s family. 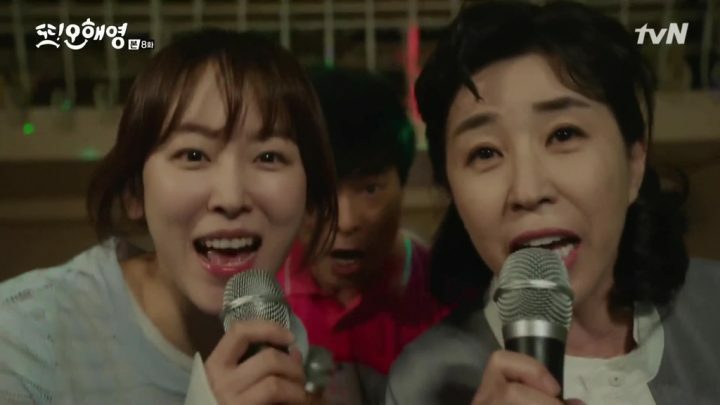 They gave a hilarious bipolar performance when they finally found out the truth about their breakup as Hae Young #1 kept it from them since the beginning. The storyline moves along towards the boiling point and we get the revelation of the secret in plain sight at this point — Hae Young #1 finds out just how much Do Kyung was involved in her breakup with her fiance. This tremendous discovery isn’t for viewers as much as it is for everyone that exists in the world created by the drama. It is both humorous and heart-wrenching to watch every character trying to cope with it. In particular, it’s mixed feelings for the viewers as we watch our rival heroines try to handle the aftermath. The drama also addresses the other big mystery that’s been hinted at throughout the storyline thus far. Do Kyung’s seemingly supernatural visions get more intense and we finally get an explanation for why he has them in the first place. Here, I commend the writers for trying to make the reasons as simple as possible for the average mind. 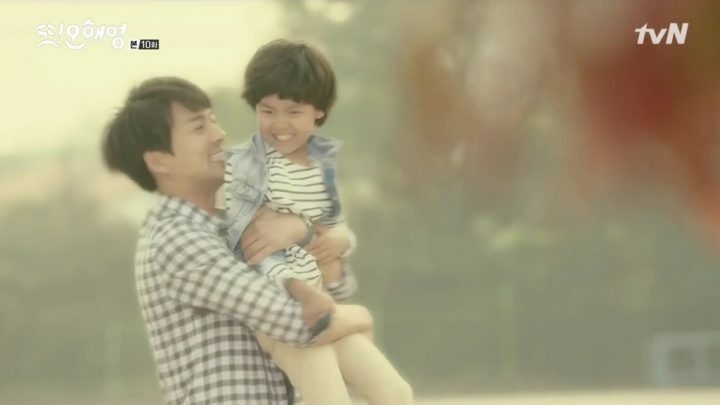 We are allowed to get a glimpse into his past life and his relationship with his father in particular, who has been mentioned on and off throughout the course of the drama. With the two enigmas out in the open, I look forward to seeing how the drama will resolve everything and bring us towards a satisfactory ending. Much of these episodes are about how our main characters rise to the occasion and push past the relationship challenges to come out happy on the other end. Do Kyung finally decides to take his life into his own hands. His deliberate action choices start to pay off as we see a resulting shift in his immediate future, and his relationship with Hae Young #1. He even begins to use his “visions” as clues to see how he can be nicer towards Hae Young #1 and change things for the better. He decides to follow his heart and this worked extremely well in his favor. I especially admire the unexpected dynamics of the relationship between the two Oh Hae Youngs; there seems to be no real hatred between them. In most Korean dramas, rivals in love triangles plot against each other ranging from mild to psychotic ways, but there wasn’t such tension between our female leads. I especially admire the unexpected dynamics between the two Oh Hae Youngs. At the same time, all of our characters go through more development as the story gradually pushes towards the end. 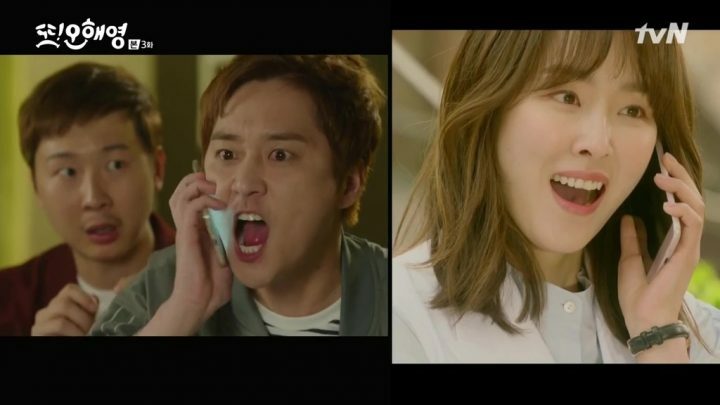 For example, Do Kyung’s womanizing friend Jin Sang (Kim Ji Seok) gets a bit more spotlight and we also get a few more laughs and tellings from Soo Kyung. Likewise for our main characters, we get to witness the healing power of love with our hero. Do Kyung finally comes to the realization that love matters above all things and this makes me happy for him. Now all that’s left is wrapping up the drama and tying a pretty bow. 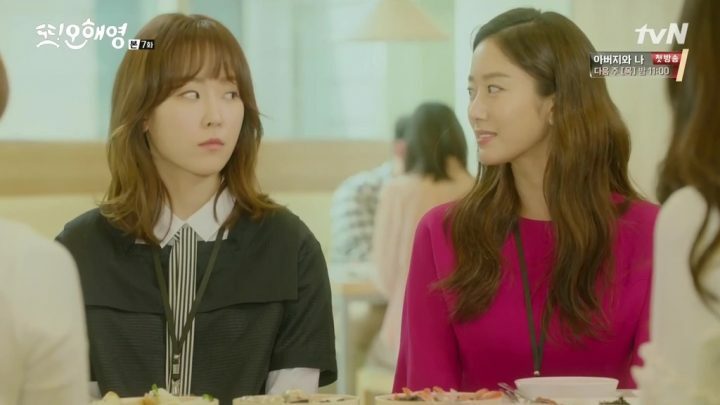 Like any great drama would, Another Oh Hae Young ties up all the knots with its usual unexpectedness and hilarity. All of our characters seem to end up in a happy place, even in the most unlikely of situations. Our heroines finally come to a friendship settlement of sorts, and Do Kyung is able to escape what could have been a horribly lonely life. 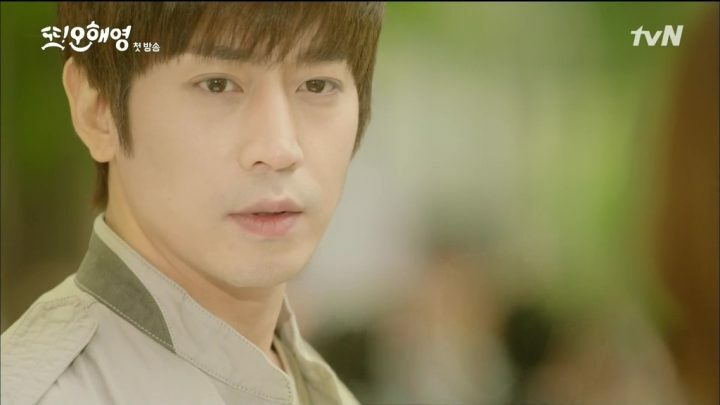 Likewise, Tae Jin finally comes to terms with the situation of things and wishes Hae Young #1 a happy life. Even Soo Kyung who gave me some of the best laughs in this drama ends up happily, as she gets to experience some much needed romance. Another Oh Hae Young is a drama with all around lovable characters to even pick out a favorite. It’s also refreshing and thrilling to watch a drama where everything is mostly unpredictable and doesn’t follow the usual plot troupes. 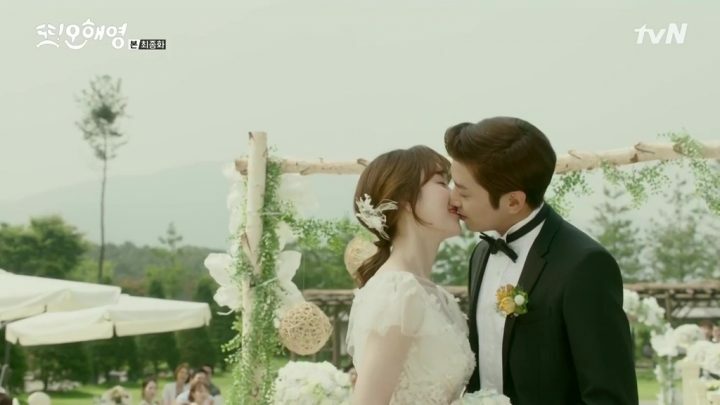 Another Oh Hae Young was such a fun ride and a great treat for me. Good drama, well acted and directed with nice OSTs. Can I say this drama has the most worthy kisses ever in kdrama ever. Eric Hyun Jin chemistry is best.